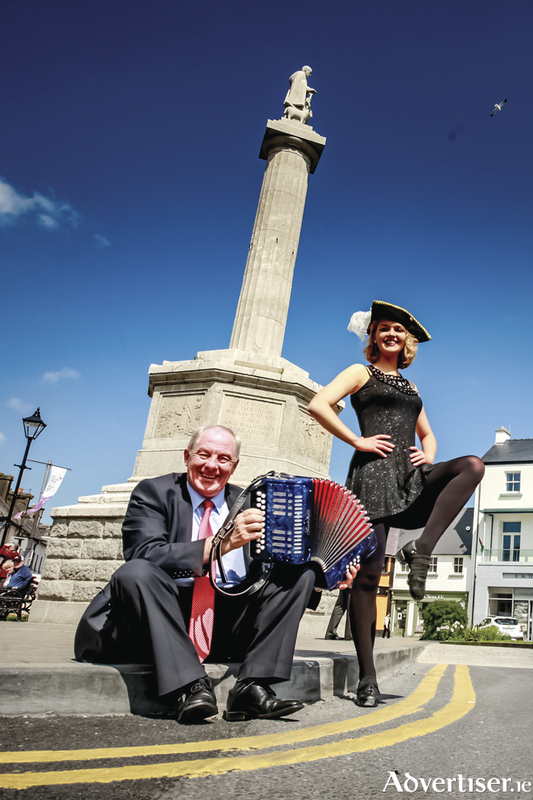 Minister of State for Regional Economic Development Michael Ring TD was onboard last week to launch Westport’s superb traditional music, song and dance show The Legend of Gráinne Mhaol at Westport Town Hall. The show based on the real life story of Ireland’s Pirate Queen Grace O’Malley is returning this summer to the state-of-the-art Westport Town Hall theatre every Wednesday and Thursday from June 15. Speaking at the launch, Minister Ring said he was delighted to be supporting an enterprise that was of immense benefit to the local economy and one of the key tourism attractions in the region. “As Minister for Regional Economic Development, I am delighted to launch the Gráinne Mhaol show as it is such an important tourism initiative not just for Westport but for the entire west of Ireland. Apart from creating local employment for so many talented musicians, singers and dancers over the summer months, this show has also been a key factor in attracting visitors to the west of Ireland. Over the past seven years, the Gráinne Mhaol show has supported the entire hospitably sector in the region with hotels, B&Bs, restaurants and all other tourism providers benefiting as a result,” he said. Featuring a host of top class Mayo performers, the Gráinne Mhaol show has enthralled thousands of visitors to the west of Ireland and has received glowing reviews during that period with Tripadvisor calling the show ‘a must see for anyone visiting Mayo or the west during the summer’. The Gráinne Mhaol show takes place every Wednesday and Thursday evening from June 15 is an inspiring epic, reliving the journey of the Irish legend Gráinne Mhaol or Grace O’Malley throughout history. The show features some of Ireland’s best known and most gifted musicians, dancers and singers including James Kilbane, Darragh, Sinead and Micheal Healy, Roisin Timoney and the Cunningham Sean Nós dancers.